Just as E3 was kicking into gear, Sony and From Software announced they were collaborating on a new VR title. Déraciné puts players in control of a faerie detached from space and time, meaning that you're invisible and navigating the world when human time stands still. I had a chance to try Déraciné and it is undoubtedly a different style than what we've seen from From Software before. 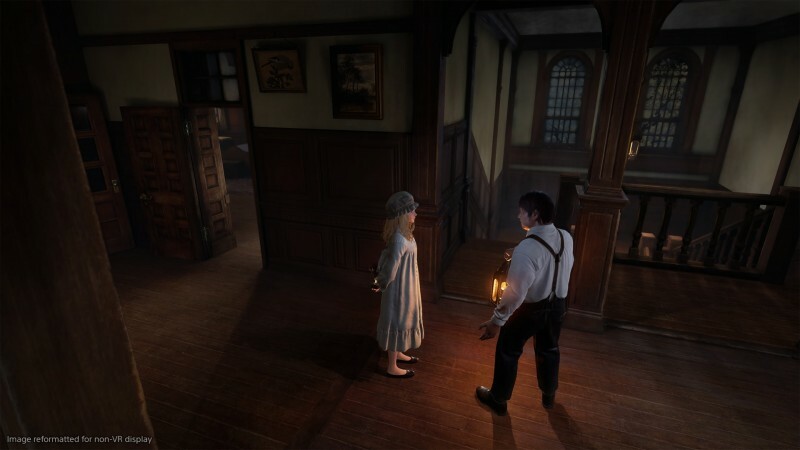 Full of exploration-based puzzles, Déraciné is all about examining clues and being aware of your surroundings as you find different ways to convince the children of an orphanage that you exist. You can do this in myriad ways; I convinced one child by restoring the life into a wilted flower she was holding, while I made a believer of a boy by slipping a bitter ingredient into the stew he was eating. After playing a demo, I sat down with From Software president Hidetaka Miyazaki to learn more about Déraciné. You can read what Miyazaki thinks of virtual reality below, and learn the intriguing reason for why he wanted to make this game. 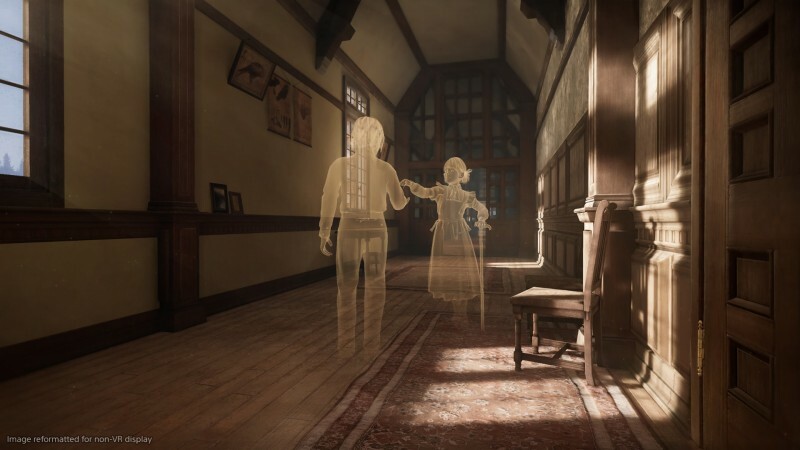 For more impressions on Déraciné, check out the round-up of our favorite VR games of E3 2018. What was the original inspiration behind Déraciné? When VR technology was introduced, I had the opportunity to try out a bunch of demos and games. The strongest takeaway was that, even though I knew it in my head, once I was able to try a few games, I was able to feel that sense of existence and presence. Once you’re in the world, you’re able to feel like you’re transported and able to interact with whatever is in that world. I was very impressed and blown away from it. At the same time, because of now being transported to that space and feeling as if you are there, say for example there was a character that was facing me and talking to me, but I could tell that character isn’t really looking at me. It already told me there was a little bit of a sense of there was a challenge we still needed to overcome. In order to make that into more of an illusion that you are there and you have this sense of existence in that world, we got thinking about how can we wrap that into a world and sort of a theme where you do feel like you’re in the world, but in a way that is going to be a lot more natural. That’s where it all really started for us. Your team obviously has a strong development history with console and PC games, but how does that change with developing a virtual reality title? This could be a pretty straightforward, obvious answer, but the highest peak of challenge we were met with jumping into VR is with game design and how we think of it. Maybe we chose a genre that’s not as straightforward or direct in terms of bringing it over to VR; an adventure game is probably a bit more intricate in terms of how you feel as if you are there, so we already put a challenge on ourselves by going into that genre. I learned that it’s a lot more difficult than I thought it was going to be. It’s something that we as a studio have never experienced before: that big of a leap in challenging ourselves. How did you overcome those challenges? Did you iterate within your team, or did you consult with external studios and teams that have experience in VR? What was the idea behind the setting of the game? Everyone has hobbies or things that they want to work on along the way in whatever their career is. There are all these hidden “drawers” of like “This is what I want to work on next.” There’s been a drawer I haven’t been able to utilize: The subject is that I’ve been a longtime fan of Japanese girls’ manga from back in the days, not just recent stuff… from way, way, way, way back. But I never got to make a game out of it. I even once thought of going into that as a career, but here I am making different kinds of games. I was like, “This drawer is never going to get opened. I’m never going to have an opportunity to work on anything remotely close to that.” But when it came to this idea of new technology, new format, and working on something that’s on a smaller scale of production and coming up with fresh, new ideas, it was more of a, “If I don’t do it now, when am I going to have another chance to challenge myself to maybe bring out that secret, hidden drawer that I’ve been wanting to work on. It was only just an opportunity and timing thing that I was able to say that now is the chance for me to work on it. It’s kind of a long time coming for me, and obviously a lot of people in Japan who are fans of manga can relate to this and think it’s a great game in VR rooted in that. Hopefully a lot of people will relate to that. I’m sure you’re aware, but manga has become more popular even in the United States, so it might be the right timing for not just you to make this, but for an audience to enjoy it. What brought about the concept of playing as an invisible faerie displaced from time, trying to prove its existence to children in an orphanage, and how did you go about developing gameplay mechanics around that idea? I really focused on that sense of existence, but there’s also a sense of nonexistence because you’re this player-character that’s this invisible, unseen faerie. I wanted to try to create a world where a sense of existence and nonexistence balanced in a way that it actually made sense. Basically, the character of an unseen faerie and the fact that you are interacting when the time is standing still are sort of tools to allow for that to live and stand on its own in this world. Once we were able to define that this was the world we were going to create, but using these tools or creative tropes to make that definition a very solid, believable definition, once we put that in place, we were like, “Okay, how do we have you interact or start to discover the world of the children, their conversations, and their lives?” So initially you’re kind of far removed on opposite ends, but the more you do interact and discover, the more you find that closeness and the more you discover the relationship building with the children. It’s really finding the ways of interaction and finding that balance of how far we can go, how far you can go, and how far we can take you, so that you start to build this bond and relationship with the children. I’m assuming virtual reality helps in untold ways in allowing you to establish that relationship and that bond with the children. You’re absolutely correct and I’m glad that you see it in that way. We believe that this is something we can deliver and execute now not only in the VR format, but the technology level and scale that we are in with the VR world… there’s only so many sort of experiments that you can do when you’re at this level. What I’m trying to say is the more advanced it gets, some experiments or ideas or executions might not work as well. Even though technology may advance, the ideas may not be executed the way we are imagining. So, not only is it the format that I wanted to challenge, but it’s only because in the VR timeline today and what we are capable to allowing today is allowing me to try and fit this concept into a way that works well now. You mentioned you have all these drawers that you want to explore, this current one being Japanese girls’ manga. Are there any other drawers that you’d like to explore? [Laughs] Of course I do! There are a few that I can never open! [Laughs] That’s not the last drawer that I’m challenging myself with; there are a few more that may never see the light of day. In all fairness and realness, I would say that this game that we’re working on right now, from head-on, straight-on, it’s a very quirky, unique title where not too many companies or people will think it’s a solid game to put out in this day and age. It’s not a game trying to reinvent a genre, or it doesn’t scream, “Oh my gosh, I’ve never seen this before” from graphical levels standpoint. It’s very quirky. It’s very unique. It’s not trying to be the next big modern game, but there’s a characteristic of who From Software as a developer is. We don’t always put out games like the ones we’re known for in recent years, and we like to have these unexpected surprises once in a while. If this title can be looked at and welcomed in that way, it would make our team very happy. In a lot of From Software games, you don’t always have a lot of cuddly animals, but I did find both a dog and a cat in my demo of Déraciné. Yeah, yeah. [Laughs] Dogs and cats… if you’re talking other From Software games, you’re probably talking about getting bitten! [Laughs] We’re kind of doing the opposite in this game!